Undoubtedly, Brexit negotiations have left the property market somewhat volatile, but you can ‘Brexit-proof’ your investments in 2019 as the UK departs from the EU. Investors and landlords should focus their efforts and attention towards key regional cities which benefit from growing youthful populations which will in turn, provide a steady and ongoing demand for property. By looking ahead and planning for what the market may hold post-Brexit, investors can take advantage of the most popular property hotspots that guarantee to deliver lucrative returns year after year, no matter what the current state of the political system is in. In previous years one thing has been at the top of the agenda for both investors and landlords alike – location. And in 2019, this isn’t expected to change. Birmingham, which has been a property investment hotspot for a while now, is set to benefit from a vast pipeline of future workers seeking accommodation as the city’s population spikes. Birmingham, home to five universities and a hub for creative industries, is popular city among both students and young professionals, and the demand for property that derives from the demographic is only expected to increase especially with exciting developments such as Westminster Works and One BHM now on the map. Birmingham has also experienced a 29.46 percent rise in property prices throughout the last 5 years, making it a great location if you’re looking to secure capital growth as an investor. Similar to the trends seen in Birmingham, Manchester is expected to see a substantial growth in its population between 2018 and 2041 which will in turn, boost demand for property in the city. As the population rises by 14 percent in the next 2 decades, and as an increasing number of students choose to study and live in the vibrant and lively city, Manchester is set to become one of the most sought after destinations for both local and international investors. Many choose to relocate to Manchester for its creative institutions and reputation as one of the country’s biggest financial centres, alongside its great transport connections and ever-growing economy. Since 2013, property prices in Manchester have increased by over 30 percent, and are set to continue rising in 2019, making the metropolitan borough an ideal destination for those investors looking to expand their portfolio and enjoy lucrative returns year upon year. 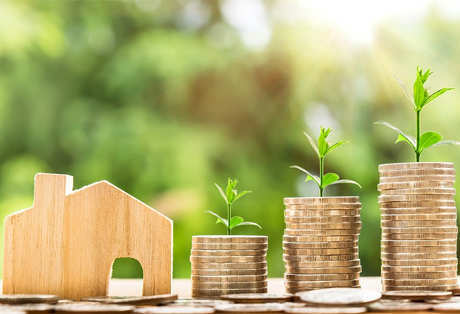 So, whether you’re planning to renovate and rent a large-scale development, lease a secondary property or simply purchase property in a bid to secure capital growth, remember that location is key for a sound investment in 2019.